Behavioral Neuroscience: An Introduction provides a basic understanding of what is known about the means by which neurons communicate and about the nervous system which interprets, integrates, and transmits signals into meaningful and appropriate behaviors. 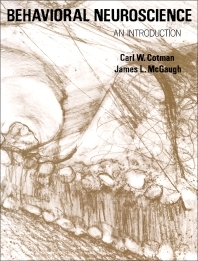 The book starts with an overview of the nervous system. The text then describes the general operation and organization of the nervous system; and some of the major types of neurons in the context of their systems. The basic characteristics of neurons and how they communicate; the processes and the basic integrative properties of defined groups of neurons; and complex learning and memory are also considered. The book further tackles the auditory, somesthetic, olfactory, gustatory, visual, and motor systems; the functions of the autonomic nervous system and the neuroendocrine system; and the neural basis of two types of motivated behavior, drinking and feeding. The text also encompasses sleep and activity rhythms; the development of the neural circuitry and its plasticity throughout life; and the development of behavior. Behavioral disorders and the aspects of the human nervous system which make man unique among all living creatures are also looked into. Behavioral psychologists, behavioral neuroscientists, and psychobiologists will find the book invaluable.